Dinner & Social Event hosted at TopGolf located at 2000 Ikea Way, Columbus, OH 43240 from 6:00 -11:00 pm on Thursday, February 28, 2109. Cancellation Policy: No refunds after Tuesday February 19, 2019. All cancellations subject to a processing fee. NO SHOWS will be charged full registration fees. You are responsible for your own hotel reservation. Contact the Cambria Suites directly at 614/841-9100 before January 28, 2019 to receive special rate of $128/night. For further information, contact the Association office at 614/891-0210. If you are adding a sponsorship to your registration, please provide the company name as you would like it to appear for recognitions at the meeting. If you are not doing a sponsorship, you may skip this step. Add a 2019 Concrete Futures Membership to your meeting registration. Make the Concrete Futures Annual Winter Meeting a TOP priority for 2019! Mark your calendar and plan to attend The Concrete Futures Annual Winter Meeting Thursday, February 28 – March 1, 2019 at the Cambria Suites Hotel Columbus/Polaris. The 2019 meeting will provide learning and professional development opportunities through general sessions on the latest topics impacting the concrete construction industry from experts in the field. The Concrete Futures will host a social event on Thursday night at Columbus’ premiere entertainment venue, TopGolf where people of all ages and skill level can come together for a playful competition and enjoy microchip golf, food, beverages music and fun. Help us make the 2019 Annual Winter Meeting a success by becoming a meeting sponsor. Meeting sponsors will be recognized at the meeting and in all follow-up communications. The Concrete Futures Winter Meeting is a great time to get involved.  The futures group is comprised of 62 members between the ages of 21-41 who are employed by an Ohio Concrete member company. The group provides a way for the younger generation of concrete construction professionals to learn, grow and network in a fun and inviting atmosphere. If you know someone who may be interested in joining have them contact the Association office at 614/891-0210 or visit our website at www.ohioconcrete.org to learn more. If you have any questions regarding the Concrete Futures Winter Meeting or membership, contact the Association office at 614/891-0210. We hope to see you at the Concrete Futures Winter Meeting next month in Columbus, OH.